OS X Mavericks isn’t a drastic upgrade like OS X Lion was for Snow Leopard, but there are still quite a few new features bundled in with Apple’s upcoming desktop OS refresh. Our plan is to cover all of the changes with in-depth video previews like this one to showcase what’s changed. First up to bat? None other than one of my favorite new features — Finder Tabs. Of course, there have been a few third party apps that allowed Finder tabs on older versions of OS X — Total Finder is the one that pops to mind immediately. But there’s just nothing like native integration for a feature like this; a feature that’s been desperately longed after for as long as I can remember. 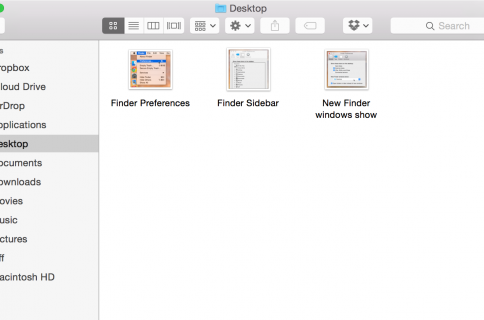 Finder Tabs allow you to create new tabs within a single Finder window, much the same as with the Safari browser. 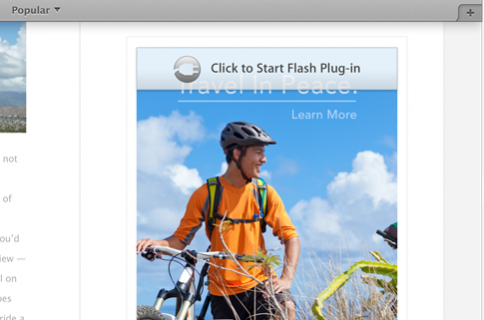 The Safari comparison isn’t just a generic comparison for the sake of explaining things. No, Finder tabs are almost exactly like the tabs in Safari, not only do they look the same, but most of the shortcut keys that you use to manipulate tabs in Safari are the same in Finder. Check out our full video walkthrough for a look at OS X Maverick’s new take on Finder. To create a new tab within Finder in OSX Mavericks, you can use the menu command: File > New Tab, or you can opt for the Keyboard shortcut, which is Command + T. Unlike Safari, there is no physical new tab button present within Finder, so you must rely on one of the aforementioned commands, at least that is so with OS X Mavericks 10.9 Developer Preview 3. To close a tab, you can click the ‘x’ button that appears when hovering over the tab that you wish to close. You can also use the menu command: File > Close tab, or the keyboard shortcut Command + W.
Moving between tabs can be done in a variety of ways, the easiest of which is to simply click the tab you want to view. But, as you can with Safari, you can move between tabs using keyboard shortcuts. To move forward through your tabs use the keyboard shortcut Control + Tab, to move in the reverse direction, use the Control + Shift + Tab command, instead. One of the most useful features of the new tab setup within Finder, outside of the additional real estate gained from having to open less Finder windows, is the ability to quickly move files between tabs. If you have two or more tabs open, you can easily drag files between tabs by simply dragging and dropping a file to a tab location where you desire to move it. It works just as you would imagine, and makes transferring files between locations elementary. I also should not neglect to mention the Finder’s new ability to open in full screen mode. Again, this was a feature that could used on earlier versions of OS X with the help of third party addons, but with Mavericks, it’s baked right into the code. The presence of tabs makes the enlarged real estate even more valuable, and I have a feeling that many will be using the full screen Finder with OS X Maverick’s new and improved second screen features as well. All in all, the new Finder feels like the perfect evolution of Finder. It’s not going to change your life or anything, but it’s good to see that Apple is trying to at least listen to its customer’s wants and needs.